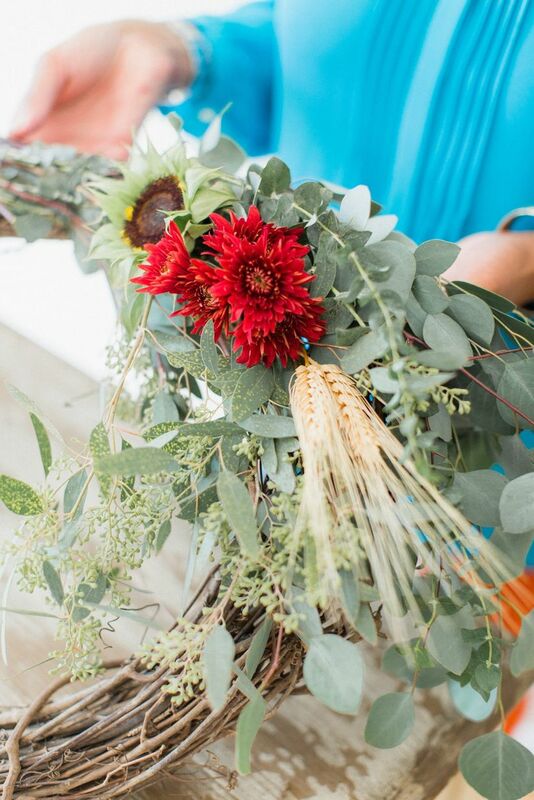 Janie Medley of JM Flora shows us how to pretty up an autumn wedding with a seasonal wreath! 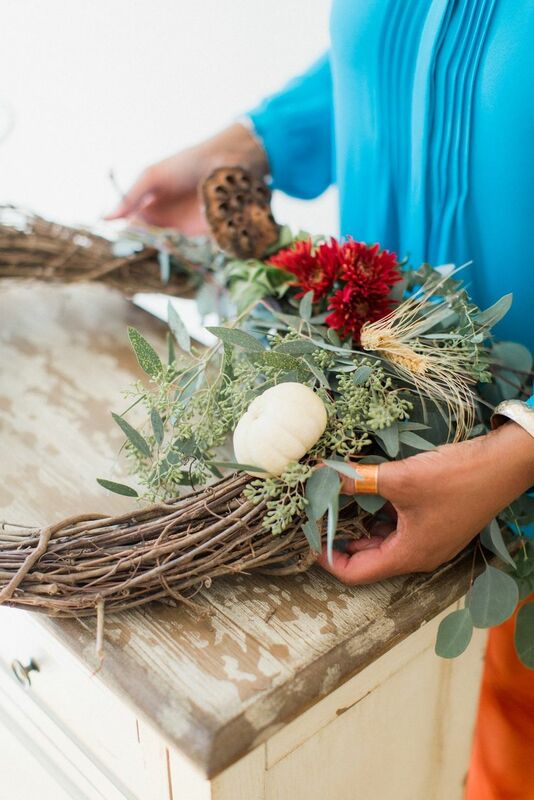 Today, Janie Medley of JM Flora shows us how to pretty up an autumn wedding with a seasonal wreath! 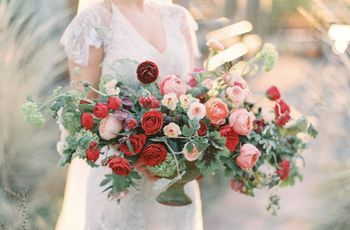 Note: The grocery stores are filled with beautiful bunches of “fall flowers” and “fall bouquets” this time of the year. 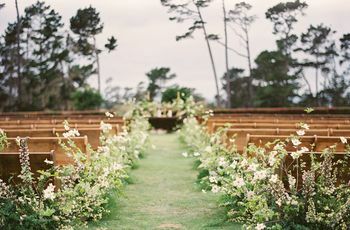 So many different varieties to choose from, so have fun with this project! 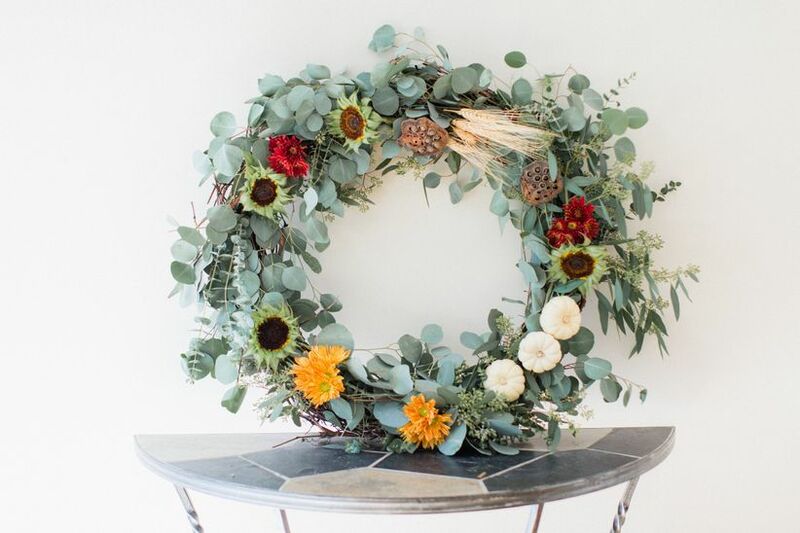 Start by securing the eucalyptus—or whatever greenery you choose—and cover the wreath. 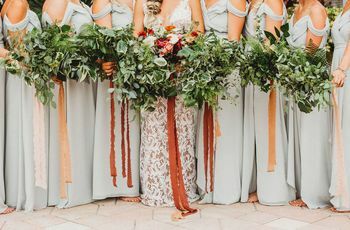 Secure the eucalyptus with the floral wire, or you could also use twine if you like. Next, start adding the flowers. 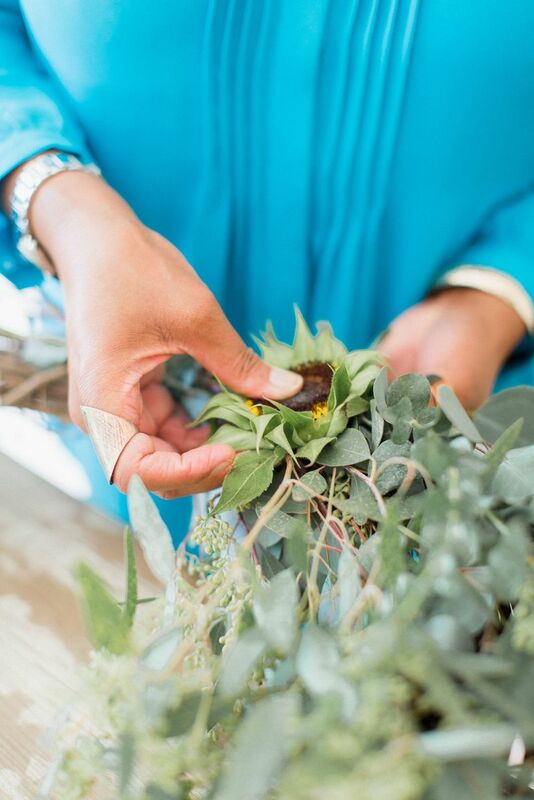 For my arrangement, I took the yellow petals off of the sunflowers to add more texture to the flower. 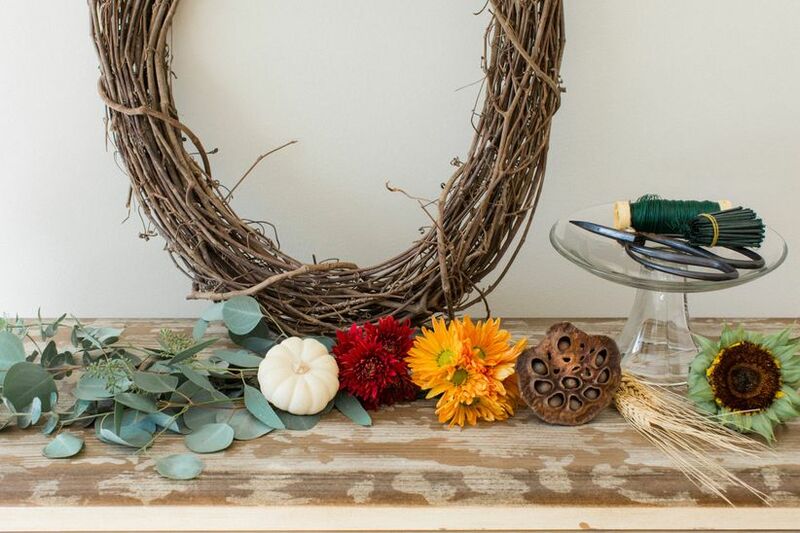 Cut the stems so that you can actually place the flower in the wreath. 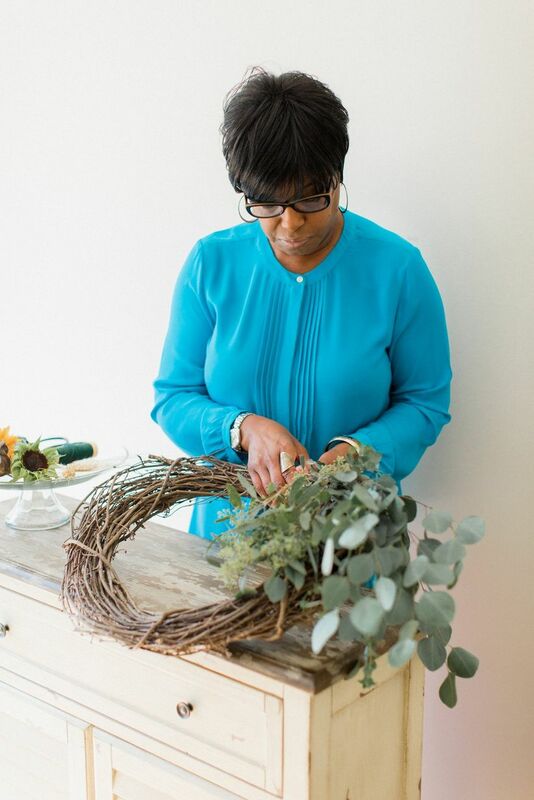 This is the great thing about using the grapevine wreath—you can manipulate the stems within the grapevine. Next, add the miniature pumpkins. 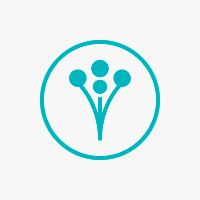 For these, use the floral picks. 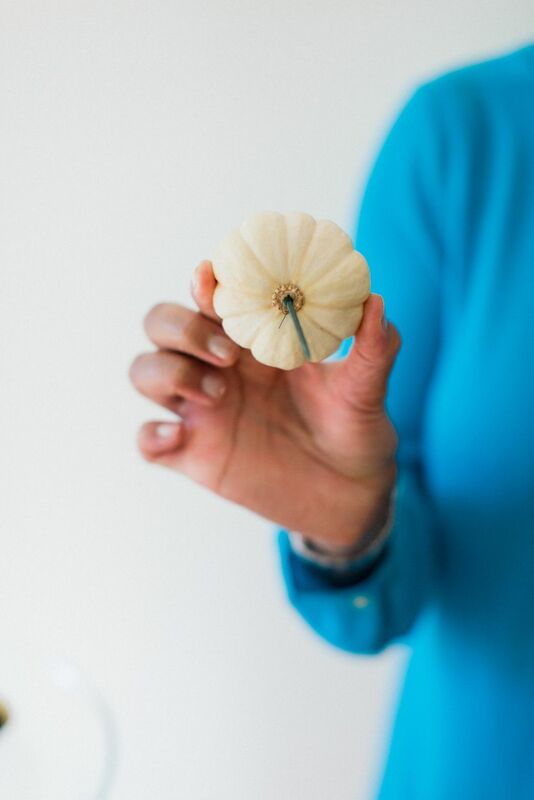 Insert the pick in the bottom of the pumpkin and attach it to the wreath. Have fun with this project! 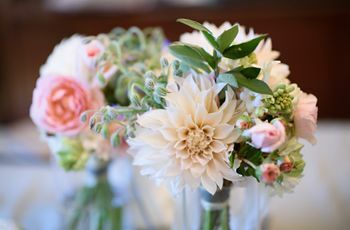 There’s no right or wrong way to add the flowers—just play with the design and make it your own. 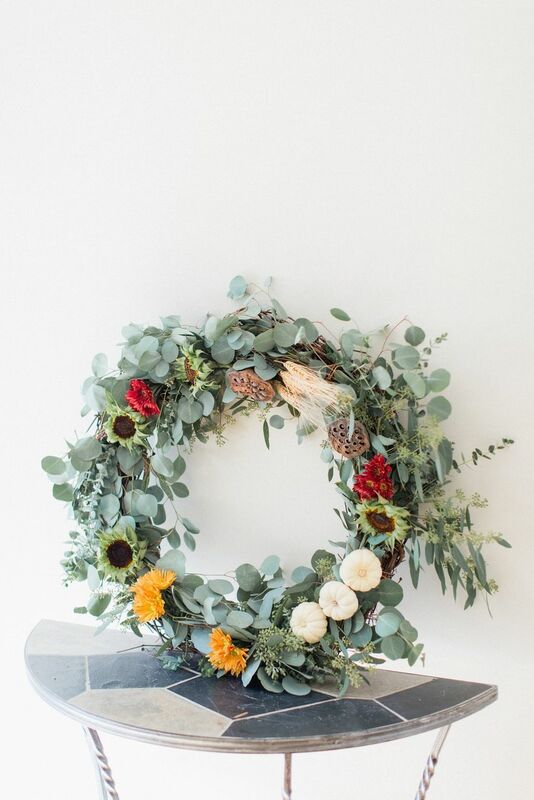 This wreath would be beautiful as part of your wedding décor or for festive home décor! !